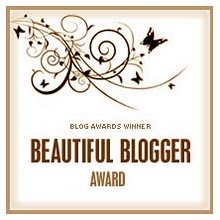 This beautiful blogger award has been gifted to me by the fantastic Sophie at Sophies foodie files. Sophie is a major foodie with 100’s of cook books and 100’s of cookie cutters and has been blogging for a while, her blog is filled with lovely things to eat – sweet and savoury and loads of gorgeous veggie dishes to make your mouth water. Thank you Sophie, I’m really pleased you nominated me! In accepting this award I should A. tell you 6 things about myself and then B. nominate 6 other blogs I like – so here goes except I’m going to tell you 6 differences between eating in my part of Scotland and my part of France. 1. Cheese course – In Scotland we generally have the cheese course after the dessert, whereas in France the cheese course comes after the main course before the dessert. Probably makes more sense the French way as all savoury things are together before the sweet delights of dessert. Oh and the cheese is served with baguette, water biscuits aren’t really known here. 2. Chocolate sandwiches – In Scotland a chocolate sandwich would probably mean nutella spread between two slices of bread. In France, a chocolate sandwich, means just that – a bar of chocolate between two slices of bread or more commonly stuffed into half a baguette. I learnt this when my children were younger and we spent our afternoons at the beach; at 4pm the other mums gave their kids this delicious snack! 4. Christmas dinner – In Scotland Christmas dinner is generally eaten on Dec 25th sometime during the day. From my experience, in France, Christmas dinner is usually eaten on Dec 24th sometime between 9pm and midnight. Oh and Santa comes before the children go to bed, but that’s another story. 5. To butter or not to butter – The Scots love their butter and wouldn’t dream of eating a piece of bread without first spreading a thick layer of butter on it, we generally use a side plate too. In France, especially at meal time, there is no butter on the table (no side plates either) and the bread is eaten dry or dipped into any sauce left over from their main course. 6.Wine – It’s true, the French do drink wine, a lot of wine. Workmen in Scotland probably have a cup of strongly brewed tea with their lunchtime sandwiches. The workmen we recently had here brought a bottle of wine every day for the month they were holed up in my garage. They did have sandwiches, but they still had wine and at least a one and a half hour lunch break to savour the nectar before jumping back on the mechanical digger! All of these blogs have loads of recipes, beautiful photos and lovely authors. I hope you’ll check them out and be as impressed as I am. Congratulations! Your blog is wonderful and I am going to check out the other blogs that I haven’t visited yet! Well deserved Candy…love your blog!. Thank you for your kind words on me & my blog! 🙂 I knew a lot of these differences already but you write them so lovely too! 🙂 Thank you!